Mobile is growing quite fast as a medium for many things, one of the main ones are content consumption. It also bridges the gap where many things are not physically available and at the same time brngs costs of content down. Take an example, it’s cheaper to distribute content thus costs of production, say for publishing and printing physical copies of novels are off the picture. This is what Safari Tales App, by a Pivot East finalist seeks to address. Developed by AfroKidz Limited, a startup which develops Adrican Digital Content for children for alternative education and entertainment through mobile devices. With a plan to digitize, preserve and repackage African oral narratives in a fun and exciting way that children in Africa can enjoy, they have now pushed the app to Google’s Play Store, for free. The app comes with free content that is accessible as downloads that gives children ability to choose from either reading the books like ordinary hard copies, have the book read to them or even autoplay like a movie. Out of the box you get several ebooks available for free while others are available at either buy per title or subscription model. Safari Tales currently has a target of reaching private school pupils, both nursery and primary school with content for ages 3-10 years. Njeri Wangare of AfroKids notes that they have achieved validation on the kind of problems they are solving. “Most parents we have interviewed are in agreement with the kind of content consumption model we provide that brings down the costs, with many being quite okay with a Kshs 500 a month subscription. With tablets and smartphones already available in prices as low as Kshs 5,000 we have most of our target group accessing the platforms we are channeling through,” said Njeri. 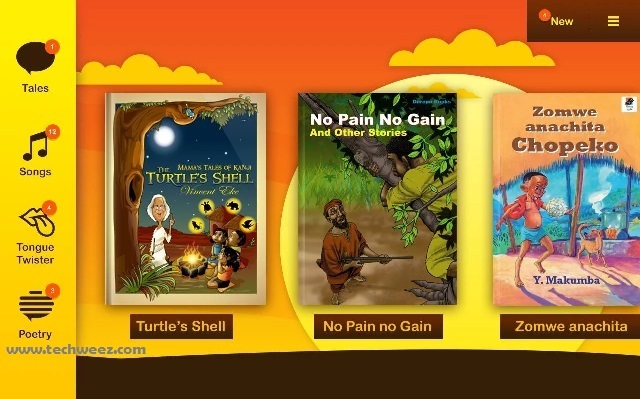 Safari Tales can also be packaged as a Schools and Library package in schools and as there is very little done so far towards digitization of school content at that level, provide quite a scalable solution. They also provide a model where the content is available free to students but on a sponsorship model. ★ “Auto Play” — plays like a movie, automatically reading and turning pages. Download it from the Google Play Store Here.